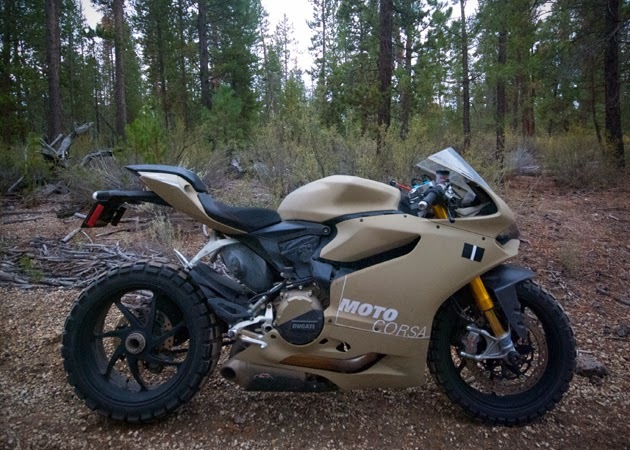 The Ducati 1199 is already a badass 2 wheeler, but equip one of these superbikes with all the modifications needed to tackle the mountain trails, and you have yourself what could possibly be the most badass motorcycle on the planet. 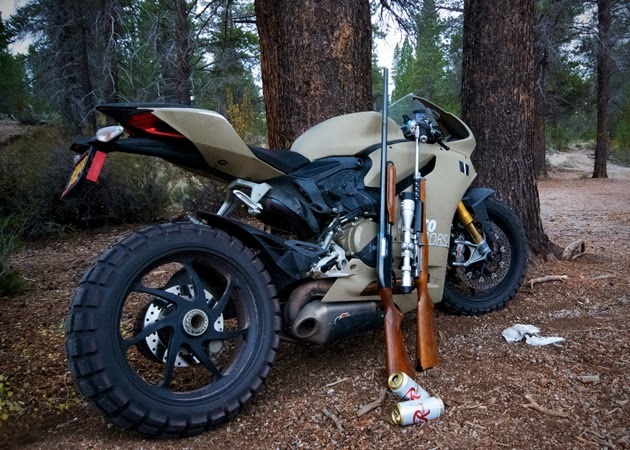 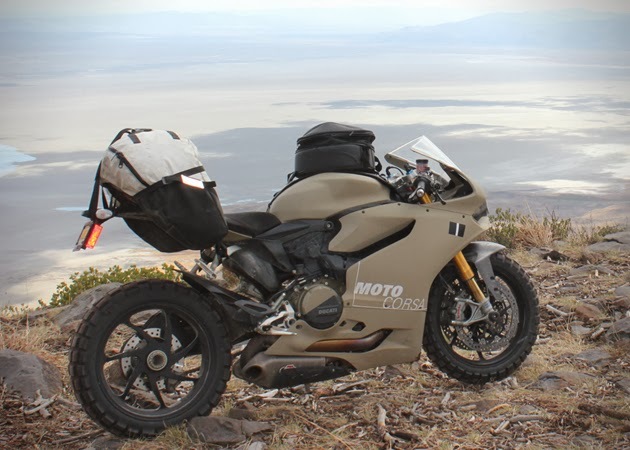 Attempting to create just that, the team at Portland based MotoCorsa created their Ducati 1199 Panigale TerraCorsa, a superbike built for the wilderness. 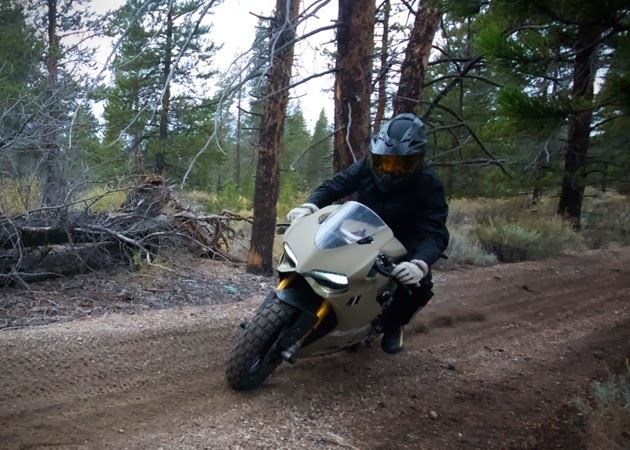 The street bike had to be outfitted with a handful of upgrades including knobby tires for the rough terrain, modified disc brakes, increased ground clearance, and a skid plate to protect some of the engine components from rocks and debris. 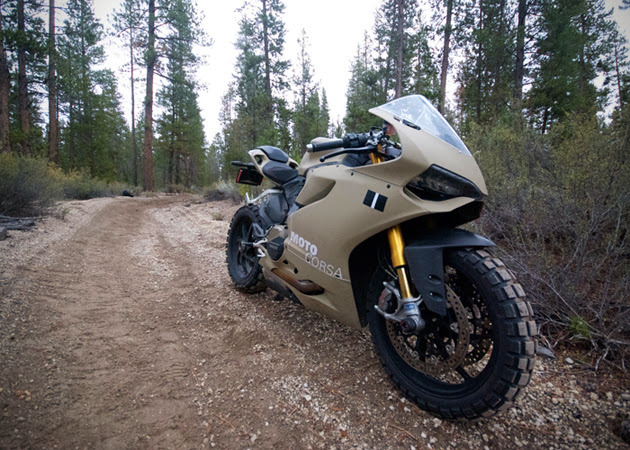 To really drive home the fact that this thing was built for trails, the 1199 TerraCorsa was finished off in a military inspired paint job.